Maria J. William is talented portrait artists. She was born in Ukraine but immigrated to the US in 1994 where she lives up to now in the beautiful city of New York. She is a self-taught artist, illustrator. 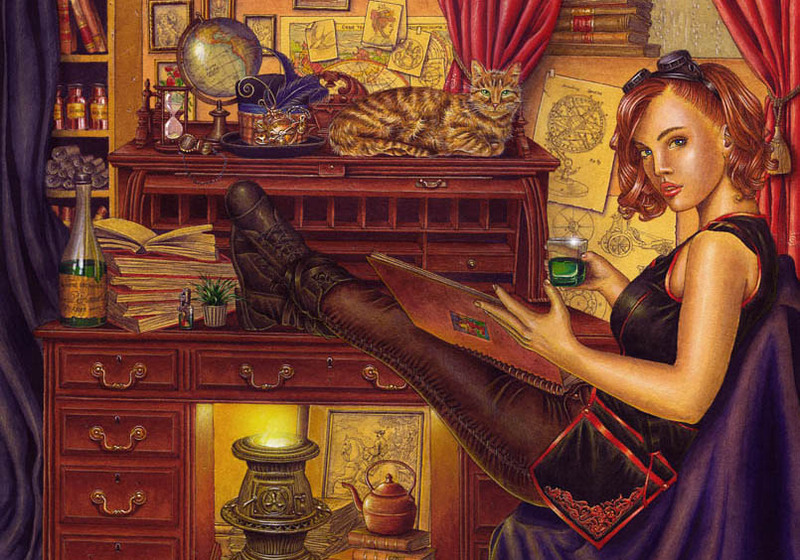 Her artwork is technically a traditional portraiture with fantasy elements. Maria brings to the reality illustration portraits with is a great influence of Asian cultures, mythology, Art Nouveau, and Pre-Raphaelites. She says that her art balance somewhere on the edge between realism, surrealism, and mild eroticism. She has tried to create masterpieces working with many different styles and subjects. Many artworks found life from still lives to landscapes to stylized illustration and are very beautiful. But most of all Maria has been enjoying creating portrait illustrations. A human face is the most fascinating, irresistible and intriguing for Maria, and she says that there is nothing like this. Every expression on the face can tell a deep and emotional story; every fugitive look is rich for the memory and feelings; every wrinkle keeps its pain and worries.